I have been having many sleepless nights and anxious days thinking along the lines of, “If I were a flower, which one would I be?” You can laugh, but it has caused me no end of distress. What if people thought I were a petunia, or worse, a pansy? When a plant has as it’s title “Autumn Joy” it predicates the season for which we should be able to expect it’s flowers. Well, this sedum has not let the side down, only 4 days premature of our version of Fall. 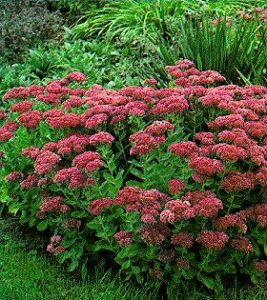 I must confess that this is not actually a picture of our sedum as all the batteries for the digital camera are flat. However, this photo does bear much resemblance to the plant I was about to take a photo of – mayble a little less magenta and more pink in the flower – but very similar. I have a renewed appreciation for the world after reading a point in this article which advised people selling their homes not to have gnomes in their garden – or at least hide them behind the begonias until the house is sold. 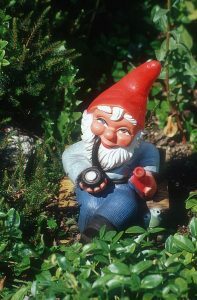 The Chelsea Flower Show has banned garden gnomes in their displays and I think they should also be banned in gardens. These hideous little ornaments do nothing for a garden apart from tell people that you’re cheap and nasty and couldn’t be bothered finding anything else to add interest to your landscape. Let me ask you a question before we start. Why do you want to grow grapes? 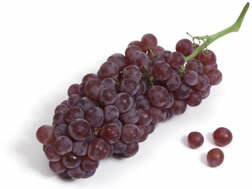 Are you after a good eating grape that you can pluck straight from the vine? Or, are you hoping to grow grapes to make wine from the juice? Or, are you hoping to cover an arbor, pergola or patio with a climbing vine that produces a fruit as well? Maybe, it’s all three.